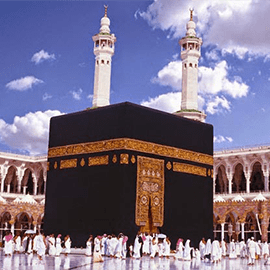 FJ Travels last Umrah Group of the season of 1440, most precious Umrah Group of the season holding 14 Nights with 10 Nights of Ramadan Last Ashra in Makkah. Package includes the most merciful night of 27th Ramadan in Harm’e Kaba with Finish Quran ceremony in house of Allah, The only Creator and merciful!. What one could ask more, departing from Toronto and other Canada. 14 days of total stay along with guided Tour of ziarats in Makkah and Madina as our standard offer, book today! Hurry to book while seats lasts. Remember us in your prayer!